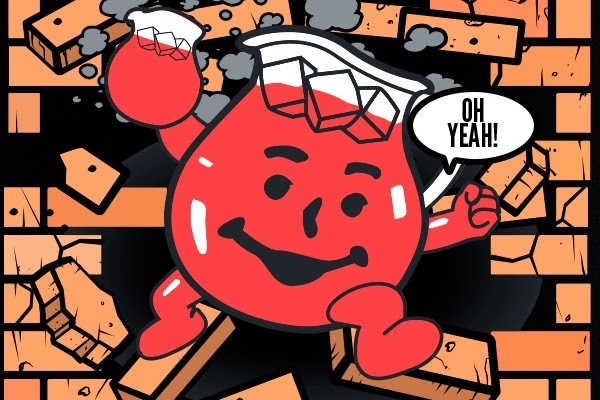 Well Mr. Market decided to show up this past week and he broke down some walls like the "Kool-Aid Man", especially so for the biotech stocks and Nasdaq. The S&P 500 shed 2.09% on Thursday and another 0.95% on Friday. I've been hoping the markets would finally cool off some and start to retreat to give us all some better entry prices. As a dividend growth investor in the accumulation phase, lower prices now lets me buy more shares with the same amount of capital which just boosts my dividends even faster. I welcome these opportunities and you should too. What's always funny to me is whenever we get large negative moves in the stock market the front page of Yahoo!Finance, and just about any other financial outlet, is littered with articles touting the upcoming doom and how this is just barely the beginning of the pain that's about to come. One article I read through on Friday talked about how there will be a much larger decline to come. On the order of 5-7%. Umm...do these guys not study the markets at all? Inter-year pullbacks of 5% are fairly normal and regular and actually healthy for the markets. It's years like 2013 that are the anomaly where we get no really pronounced declines. What's even funnier is that in that same article they talked to another market prognosticator that had a different view. His take was that the markets would decline 6-8%. Is there really a big difference between 5-7% and 6-8%? Personally I'm hoping for 8-10% but who knows what's in store. It was a fairly quiet week for my FI Portfolio, although I did add some shares of Johnson & Johnson (JNJ). I really like Johnson & Johnson and decided to front-run the dividend increase announcement later this month. If you want to learn of my new purchases in real-time make sure you follow me on Twitter @JC_PIP. I'll have a full post discussing the details coming out on Monday. Thanks again to everyone that stopped by, commented, or shared any of my content this past week. I truly appreciate it more than I can ever put into words. As always, this blog is as much about my journey and learning as it is each of you. So if there's anything you'd like me to cover or company you'd like me to get an analysis on let me know. What are you going to do when you retire? by Done by Forty - This is a question that I'm sure anyone that is pursuing FI/early retirement, usually accompanied with a very confused look. It's something that I think about a lot a lot and I can't wait for the day when I reach the point to truly achieve "activity diversity". 14 months, 18 countries, $10,000 by Retire Before Dad - There's so many things to see and do in this world and Retire Before Dad was able to scratch a bunch of them off. Travel is something that a lot of the FI people speak of as something they want to do, and what better way than to travel on the cheap. If you asked most people how much a trip like that would cost, I'm sure then answer would easily approach $50k, but to think that he was able to do so on just $10k is amazing. Why I Eventually want to be Invested in 50 Companies: Income Diversification by Dividend Mantra - Income diversification is the name of the game if you're pursuing financial independence, even more so if it's through dividend growth investing. The outlook for companies can change and lead to declining operations and put the dividend at risk. But by owning 50 high quality companies you can mitigate some of that risk by owning plenty of other companies to help pick up the slack for a decline in others. Always Learning: I Still Don't Really Know What I'm Doing by FI Fighter - Take a look at some of the things he didn't know before starting down the rental property path. It's a quite a lengthy list, but what better way to force you learn something than by making you do it. Also, don't ever get complacent as there's always something else you can learn to improve the way you think/work. There's a reason that Warren Buffett is considered the greatest investor of all time, he's constantly learning and reading. Quarterly Update - Q1 2014 by Roadmap2Retire - I love the end of one month and the start of a new one. What's even better is when that coincides with one of the quarters of the year ending, as that means it's time for some progress updates. Roadmap did a great job during the first quarter and pulled in over $1,300 in income outside of his day job. Passive Income and Pageviews - March 2014 Update by Write Your Own Reality - Did I mention that I love getting to see the progress of all my fellow bloggers? WYOR leans more towards peer to peer lending and he's gotten some great results so far. Following the Crowd: The Ninth Deadly Sin by Income Surfer - Now I don't know if it's quite up there as far as a deadly since, but letting the crowd make your investment decisions for you is definitely hazardous to your wealth. Whenever your crazy uncle that lives completely off the grid is telling you where to invest, consider that the wrong place to be putting new capital to work. Unfortunately it's a cycle that continues to repeat and why the stock market is considered a "casino" by so many. REITs vs Rental Property by FI Fighter - While they're both real estate investments they are quite different. I'm still searching out for a rental property, most likely through a turnkey company, and what I really liked about this post was the details about the rental property and the tax situation. There's a lot of little details to keep track of when it comes to owning a rental property, and that's before even accounting for the actual management/leasing of the property. Wading into the Kiddie Pool of Dividend Growth Investing by Cashville Skyline - Addison is just about to start into the world of dividend growth investing. Obviously I applaud this move and it's always great to hear of someone else getting on board with DGI. Whenever I find out about someone trying to move in that direction, it always takes me back to when I first saw the light. 22 Dividend Bloggers Share their Top Investing Advice by Dividend Growth Stock Investing - Speaking of starting out, Dan Mac compiled a great list of tips to get you started with dividend growth investing. The best part is that this list is great for both the new and experienced investor. Sometimes we all need to be reminded of the basics every now and then. My Venture Portfolio Q1 2014 Update by Financially Integrated - They've already got a huge portfolio of dividend paying stocks and late in 2013 decided to move to a bit of a venture capital type portfolio with some extra money. I think this is a great idea, even if it's not quite venture capital, but picking just a few winners will really juice their returns. Thanks for the mention JC! Have a great weekend yourself! Always appreciate the mention and being on your weekly roundup. Have a great weekend! Thanks for the mention JC. I appreciate you linking my article. I'm with you......I think it's odd there haven't been more pullbacks. Happy hunting!! Thanks so much for mentioning me! I read most of these articles and found them highly entertaining. Great output from the blogging community lately!